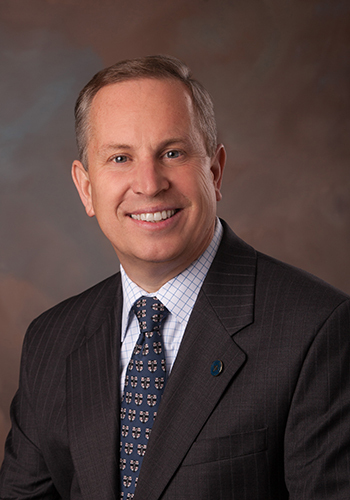 President Steven DiSalvo has announced his new position at Endicott College. President Steven R. DiSalvo announced today that he will step down from his position as president of Saint Anselm College on June 30, 2019. 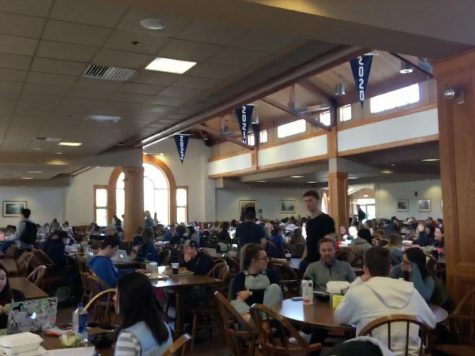 He first informed the Board of Trustees at today’s meeting, and then shortly afterward sent an email to the Saint Anselm community detailing his resignation. Dr. DiSalvo’s announcement was greeted with mixed reactions on campus. His resignation comes on the heels of other high profile departures, such as the previous Chief Financial Officer Eric Norman, as well as the 14 staff members laid off five months ago at the end of May, a decision DiSalvo made in an effort to eliminate a projected deficit. A search committee is currently being formed in search of President DiSalvo’s successor; the committee will be headed by Board of Trustees vice chair Geraldine DeLuca ’77 and trustee Charles Crowley ’81. If the college follows the procedures of its first formal presidential search, it will secure the assistance of a search firm to aid in seeking qualified applicants for the position. “It is with a great many emotions that I write today to inform you that on June 30, 2019, I will be stepping down from my position,” President DiSalvo wrote in his campus wide email. President DiSalvo joined the Saint Anselm community as its 10th president in July of 2013—making this academic year his sixth at the College—after serving as president of Marian University in Fond du Lac, Wisconsin, between the years 2010 and 2013. He received his Ph.D. in educational leadership, as well as an M.B.A. in marketing and a B.S. in psychology at Fordham University. It is worth noting that Dr. DiSalvo has had some significant achievements over the past five years as the college’s first lay president. He succeeded Father Jonathan P. DeFelice, O.S.B., in the top administration post. He was a principal figure in the construction and opening of the $16.5 million Roger and Francine Jean Student Center Complex. Dr. DiSalvo also aided in the establishment of the study abroad program in Orvieto, Italy, as well as leading the College to its 95th ranking in the U.S. News and World Report on the top 100 national liberal arts colleges. He launched the Faith in the Future Capital Campaign as an effort to increase the College’s “infrastructure spending,” of which $62 million has already been raised. The goal for the campaign rests at $70 million. This year the College is preparing for its 2019 New England Council of Higher Education, or NECHE, review. This review comes every 10 years. The council was previously known as NEASC—New England Association of Schools and Colleges. Dr. DiSalvo’s departure will fall after the site visit in April by NECHE, meaning that he will be at the college through all or at least for the better part of the review. The Saint Anselm community has shown mixed reactions to President DiSalvo’s stepping down after the end of this academic year. She referred to the petition created by the student group, SAC Students 4 Change, which gained considerable traction over the summer. More than 1,100 students, alumni, and others signed the petition. The petition was a direct call to action for the Saint Anselm community to “call for greater transparency and communication” at the College. “I hope the next president makes some changes so the decisions made in alumni offices help the students and the faculty and staff, not just the school’s image or budget,” Lyons concluded. Most students have admitted to assuming that President DiSalvo would resign by the end of the academic year. The Crier reached out to several members of the College’s administration, but none was available for a comment at the time of publication. The school also needs to work on security on campus and keeping people who don’t belong there out.